England midfielder dusts off the pipes for rendition of a classic. 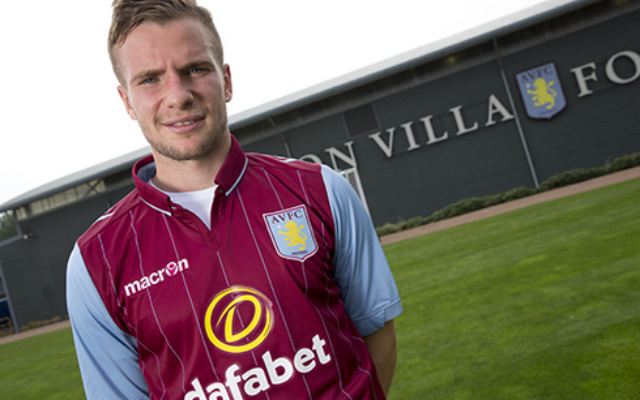 Former Manchester United midfielder Tom Cleverley was put on the spot at Aston Villa earlier than he would have liked as he was forced to stand on a table and serenade the squad with a rendition of Stand By Me. Filmed by new Villa teammate Fabian Delph and subsequently posted to Instagram, the England international sings the sweet soul tune into a bottle of ketchup whilst stood on a table. However, instead of drawing howls of laughter and derision, the former United ace draw impressed nods from Colombian international Carlos Sanchez, whilst Delph himself nods his approval.